A fresh and funny novel about how one different choice could change everything. Three years ago, Kennedy Rhodes secretly made the most important decision of her life. She declined her acceptance to the prestigious Windsor Academy to attend the local public school with her longtime crush, who had finally asked her out. It seems it was the right choice—she and Austin are still together, and Kennedy is now the editor in chief of the school's award-winning newspaper. But then Kennedy's world is shattered one evening when she walks in on Austin kissing her best friend, and she wonders if maybe her life would have been better if she'd made the other choice. As fate would have it, she's about to find out . . . 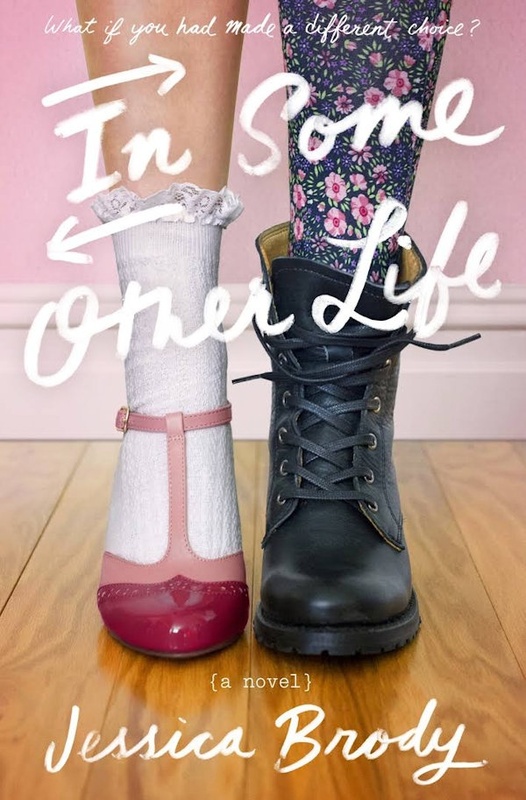 In Some Other Life by Jessica Brody is one of those awesome parallel life kind of stories. Think The Family Man (or Sliding Doors but I haven’t seen Sliding Doors) or Pivot Point. I love books that fall into this genre even though I am not entirely sure what the trope is called. I had a few expectations for In Some Other Life namely that I would gobble it up fast despite length and that I would really enjoy the characterization. This book nails it on both counts. In Some Other Life follows this senior named Kennedy Rhodes. Kennedy is editor in chief of the newspaper at her high school. She has been dating this boy Dylan forever. For all intents and purposes she has a pretty great life. Only, she’s been carrying this secret regret. Namely that she did not say yes to Windsor Academy, this elite private school, when they mailed her an acceptance letter. Instead she chose public school for a boy. Too bad that boy, Dylan, is messing around with her best friend. The book makes a full pivot when Kennedy bumps her head and wakes up in a world where she made the choice to go to Windsor Academy. In that world, she is at the top of her class. She’s well liked. Kennedy’s life seems pretty perfect in that other life. Of course, this being a book, we know that life isn’t perfect and we find that out as Kennedy finds out. Kennedy Rhodes certainly does not make the best life choices always. I can’t fault her though, she’s young and learning. Most of us make bad choices too. What’s interesting is seeing how her choices play out in that other world. We also get to see that maybe what initially seems like the wrong choice was actually for the best in the long run. Kennedy is a well written character. She’s passionate about journalism and writing. She puts a lot of pressure on herself in both worlds. She also cares about being a good friend, for the most part. I felt like she was pretty relatable. Jessica Brody’s In Some Other Life is a book that I read in like one day despite it being over 450 pages long. It is SUCH A FAST READ. The characterization is on point. Plus, the way she writes about Kennedy’s family really wins me over, especially Kennedy’s dad and little brother. I felt like this book ended up being a pretty feel good book. I would definitely recommend this for a relaxing read. I enjoyed this book a lot. There was that one thing in the story that I struggled with, but that seems to be something I have with Brody.